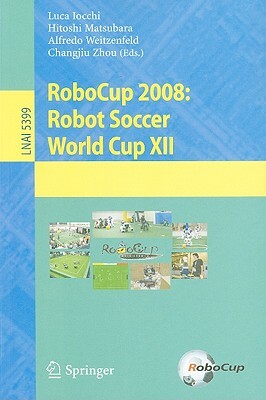 The 12th annual RoboCup International Symposium was held during July 15-18, 2008 in conjunction with RoboCup 2008 Competitions and Demonstrations. The symposium represents the core meeting for the presentation and discussion of sci- tific contributions in diverse areas related to the main threads within RoboCupSoccer, RoboCupRescue, RoboCup@Home and RoboCupJunior. Its scope encompassed, but was not restricted to, research and education activities within the fields of artificial intelligence and robotics. A fundamental aspect of RoboCup is promoting science and technology among young students and researchers, in addition to providing a forum for discussion and excitement about Robotics with practitioners from all over the world. Since its first edition in 1997 in Nagoya, the RoboCup Competitions and Symposium have attracted an increasing number of researchers and students from all the world and today it is a major event in robotics worldwide. Due to its interdisciplinary nature and the exploration of various and intimate c- nections of theory and practice across a wide spectrum of different fields, the sym- sium offered an excellent opportunity to introduce new techniques to various scientific disciplines. The experimental, interactive and benchmark character of the RoboCup initiative created the opportunity to present, learn and evaluate novel ideas and - proaches with significant potential. If promising, they are then rapidly adopted and field-tested by a large (and still strongly growing) community.